And Lastly, "Once the Moral Character of a People Degenerate, Their Political character will soon Follow." - Elias Boudinot, President of the Continental Congress 1783. If you trust Jesus, do you also trust his message of tolerance? What makes you think that the morality supposedly applicable to iron age man in a middle eastern desert has any relevance to 21st century man? I am a born again christian that by the relationship I have experienced with Jesus Christ in my life has proven to me that Jesus is the son of God and anyone in any faiths savior if they will accept him as Gods son and be born again as Jesus told Nicodemus that you MUST be born again and not just religious. Any president or candidate running for this office if he claims he is a christian should not shy away from the statement that he is born again if he truly is that is, also he should believe what Jesus himself said about he is the way and the only way to God and no man shall come unto the father except by him, which excludes any other paths or religions to God and also if you believe you can go to God through any other way you discredit the cross and the blood of Christ which is the only thing that cleanses the sins and the complete gospel message has no meaning. We are saved through what Christ did on the cross otherwise that crucifixion would have been in vain and we are still in our sins without the blood sacrifice of Christ, he was the sinless sacrifice, we are saved through faith and grace lest any man should boast of his own works scripture says. Anyone who says that Jesus is not the son of God is the spirit of antichrist the scripture says in the book of John. which takes in these religions that say Jesus was only a prophet and that God had no son, that is blasphemy. I believe that any President or candidate for this office if he claims he is a christian should adhere to the scriptures in these basic truths and definitely not give christianity a back seat to all these other beliefs or religions especially when our nation was formed in christianity and God principles which is the truth that we started as a christian nation and still are , the muslim countries dont apologize for being a muslim country while praying to mecca and muhammed and allah and blaring it out over loud speakers, if you are a christian visiting or living there you just have to hear it and accept you are in their land of that type religion. Also the moral issues that any President tip toes around like abortion and gay marriage, God loves the gay person but his holy scripture says its not his way and it is sin, and abortion is killing a life of innocent blood, we have all sinned and fall short of the glory of God , we've been drunkards, liars, thieves, fornicators blasphemers and all these sins but we must repent from these things if we expect to go to heaven. I think anyone who is President or is a candidate for President if he says he is a christian should believe and uphold these Gods word truths.Gods holy word says "If my people that are called by my name will humble themselves and pray and turn from their wicked ways, then will I hear from heaven and heal their land." lets try this fellow Americans and anyone wanting to be our leaders. This article seems to make a lot of sense; it clarifies a fundamental difference between two directions that the country is headed toward, both of which are based on Christianity. To be a Christian, you basically would have to accept (out of pure faith) that Jesus Christ is the Savior through whom you would receive eternal Salvation. Conservatives are all about personal Salvation, me this, me that, me me me… while Progressives say… wait a minute, Jesus wasn’t about me me me, it’s about us us us. How can you receive personal Salvation when all those around you are suffering? Jesus was about feeding the hungry, clothing the poor, uplifting the underclass, healing the sick, etc. In this sense it is somewhat similar to Buddhism. To Progressives, Christianity seems more like a way of life, a code to live by if you will. To Conservatives, Christianity is more like life itself. It is the absolute truth, its historic scriptures dictate the present and future, and no rational thoughts that deviate from the Bible can be accepted. There is some parallel to what we see with the various sects of Islam; each group claiming to be the true Islam and willing to kill others over it. Since we live in a predominately Christian country, let’s hope that we don’t down that road where religious fervor turns into physical intolerance. Jeremiah Wright was Obama's spiritual mentor. Quote,"The question is not whether we will be extremist but what kind of extremist will we be." Jesus himself was seen as an extremist by the leaders of the herd. He challenged the Taliban-like authorthy which was stoning women for sinning. He instructed other remedies. Who bloody cares if Obama is Christian at all, never mind Christian enough, or the right kind or colour of Christian. Seriously your country is so bound up over trying to out-pious each other, but how many "Christian" politicians have been unethical d-bags? Rmoney is supposed to be a religious leader, but he is dishonest and selfish. Bush was supposed to be a good Christian, but he sent thousands of men and women to kill and die over his ego. Never mind the current crop of evangelicals all trying to out-extreme each other, to the detriment of so many Americans' rights. Keep religion out of politics, and start making churchesnpa taxes. I would sooner trust my future to someone who feels ultimately accountable in this life, not expecting to have his or her record cleared before the next one. If we could trust our elected officials to keep religion out of their public service, then we wouldn't need the 1st Amendment. "Paul Ryan" says that he doesn't think he can separate his faith from his public service. That's a dangerous notion, considering some of the hotly contested issues of the day are embedded in religion. It's difficult to understand Mr. Romney's stance on separation or just about any other issue, since the little insight he does give changes as fast as a 3-month old's diaper. Because religious belief, or non-belief, is such an important part of every person's life, freedom of religion affects every individual. State churches that use government power to support themselves and force their views on persons of other faiths undermine all our civil rights. Moreover, state support of the church tends to make the clergy unresponsive to the people and leads to corruption within religion. Erecting the "wall of separation between church and state," therefore, is absolutely essential in a free society. President John Adams and the U.S. Senate on behalf of the U.S.
Jeremiah Wright was Obama's spiritual mentor. Quote, "It is incontestable and deplorable that [African Americans] have committed crimes; but they are derivative crimes. 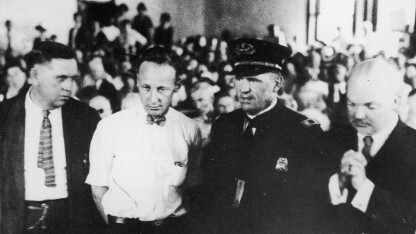 They are born of the greater crimes of the white society." So? what is your point? Please cite scripture as your guide. If jesus came back today he would throw every damned (yes they are damned) fundamentalist out of their churches because all of them have so twisted his teachings into something evil and nothing like he intended. Fundamentalists are the False Prophets of his time. What did He intend? Can you please enlightened us? Since when did the US change from being a nation founded on freedom, and specifically religious freedom, to one founded under Christianity? Religious oppression, no matter what religion it is supported by, is still wrong. This requires a separation of church and state. Otherwise not all souls n your nation will be free. If not all souls are free, then you have no right to raise yourselves up as the bastion of freedom in this world. Hold true your own beliefs but do not impose them on others. Letting your religious beliefs creep into your laws undermines the so-called freedom your country was founded on. Congrats. You just figured out the fallacy of the strawman that the media creates. A small group of outspoken republicans think this country was founded on Christian freedoms so they blow it up. Of course anyone can practice whatever. Don't let the left sell you on this caricature they created of republicans. Jeremiah Wright was Obama's spiritual mentor. Quote, "I am convinced that [this] is one of the most unjust wars that has ever been fought in the history of the world... The judgment of God is upon us today." You obviously didn't read the "long" article. This article trys to paint "Progressive Christianity" as this acceptable form of Christianity that was once popular and now should be: acceptance of gay marriage, acceptance of abortion, government social programs to help the poor. All of which is no where to be found in the New Testament gospel of Jesus Christ. This article is actually trying to tell the American public, "Obama is a Christian" by trying to tell us "the duck that's talking like a duck and walking like a duck is actually NOT a duck...He's a Progressive Christian...just like you." And this is fundamentally wrong! I live in the deep south in a very red state. I don't know a single republican who lives by basic Christian principles as set out in Matthew 25. 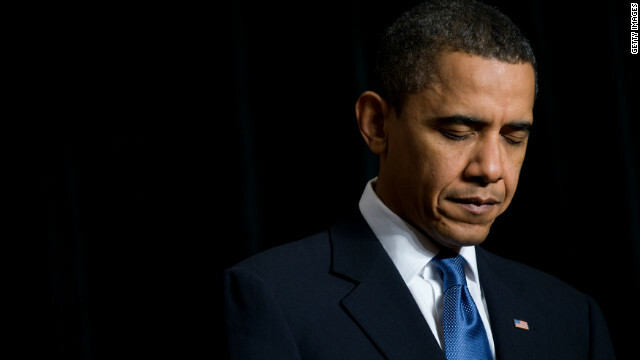 I'm with Obama – and Matthew 25. This article is nothing but an attack from the right wing against the president. So if Obama is not enough of a Christian for the right wing how are they going to support Romney who isn't a Christian at all! At least he doesn't lie about it. 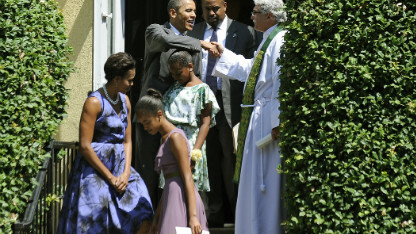 Obama really is a different kind of Christian. A Muslim Christian. None of us can judge or know whether another is truly a Christian or not. What am troubled by is the lack of balance on both sides. Fundamentalists DO tend to ignore justice, live, mercy, etc. Jesus stated that these were the more important parts of the law. However, progressives think that loving other people means that sin cannot be called sin. Sin is real. Jesus, who died to pay for them, would be the first to acknowledge that. But he didn't come to condemn, but to forgive. There must be a balance. I sympathize with your view to some degree. You are seeking some "balance". But you, and all other miss the central point of Jesus' teaching. Jesus explicitly said that he is not here to destroy the law but to fulfill it. So, what you see with Jesus is that he is giving us a new set of remedies. He faced down the Taliban-like leaders of his day and instructed them to change the remedy. The sin of adultery was punishable by death, just as it is in some Muslim countries today. Jesus stood up and challenged those who were getting ready to stone Mary to death. he demand that they not cast the first stone. Today, the fundamentalists/evangelicals are following the example set by the Taliban. They believe in an Old Testament remedy for everything. They do not follow Jesus' message of tolerance. They would put every woman and her doctor in prison for having an abortion. yes, I sympathize with their issue over abortion. It is a moral issue. BUT, there are many other remedies other than prison. Reflect on it. Follow Jesus' message, not the Taliban's. Gandhi was thought to be the most "Christ" like man of his generation. He utilized non-violent means to change the world. He was meditative and contemplative. He did seem to love his neighbors and do unto others as he would have them do unto him. Some "Christian" leaders invited him to become a "Christian". He declined. "Christianity", for me, has devolved into pagan ritual which enriches and empowers its leaders. It is a true "cult" because its focus is on the person of Jesus and the trappings of ritual. It is driven by primitive Darwinian herding impulse. Only the fittest survive, not the most true. The most true are a threat to the herd's survival. They are always murdered, either literally or figuratively. It is the one thing about Jesus' story which the herd does not want you to know. He was a threat to the herd. They must have seen him as an arrogant man who brazenly rode back into Jerusalem one fine time. His act and his murder established the pattern for other generations to follow for all time to eternity. It would never occur to any authority to simply sit down and have an open, honest and principled dialogue with a man who sought tolerance. Who do you know in politics who will have that dialogue with anyone who is seen to be a threat? These most "Reverend" men speaking on behalf of All Christians need to go back God and ask his forgivness. How dare they assume to know what a true Christian is. If those most reverend men followed "their" bibles word for word, well lets just all have a laugh. I am a Christian, I do take one line in the bible to be the most effective way of handeling all the bible thumpers in this land, "Judge not, lest ye be judged." Maybe Mitt Romney wants to start WW3 since he knows the Mormon bunkers are all full and ready to cleanse the earth. Be afraid people. You need to clear all the klingons from your brain there Captain Kirk. Caring for the poor should not be a "different" kind of Christian – that was supposed to be the default of Christianity. It's the big business interests of the right wing that have conned people into believing otherwise – that obscene private gains from huge public losses are somehow morally correct. The thing you need to understand about the right is not that they are all out to glut themselves on the backs of the poor. Most republicans are not wealthy. And most wealthy people are not republican. Look at Hollywood. The truth is, the reason that republicans do not think the wealthy should be taxed so much to pay for the poor is because they believe the system to care for the poor should be voluntary and not forced. Did Jesus force anyone to care for the poor? No. Since when do we questions someone Christianity in this country? The President says he is a Christian so he is a Christian. I am a Christian and I feel my beliefs lie very close to the President's. Are evangelicals more christian than other Christians? This article is crap. Where's the one about Mormonism? Is their Christianity the same as evangelicals? Get real CNN! We live in a country where EVERYONE is free to worship or not worship as they please. Why question that??? Actually, religion is crap and this article is just feeding the delusion! That's just silly! If someone says something, you can ask them to qualify it. 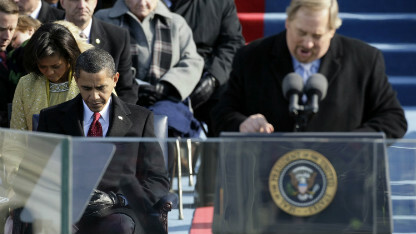 In this case, all evidence points to Obama not being a Christian by his theology. He called Sunday the Sabbath, he called Jesus most famous speech extreme, and his book is riddled with information on others religions. Comical – he claims to be a Christian because he wants your vote! Yeah that Romney couldn't Tell the Truth if Jesus's Brother LUCIFER ordered him to. We went through this the last time when Obama was running for President. Really, now he's a 'different kind of Christian'? Give it a rest, CNN. Dabbie, reread the comment you just posted again. Here you do exactly what you accuse others of doing!